В квесте Jacob's Problem нужно запомнить последнюю позицию Poring. Вопрос: Tell me. Which creature in front of you is Boling? Вопрос: Tell me. 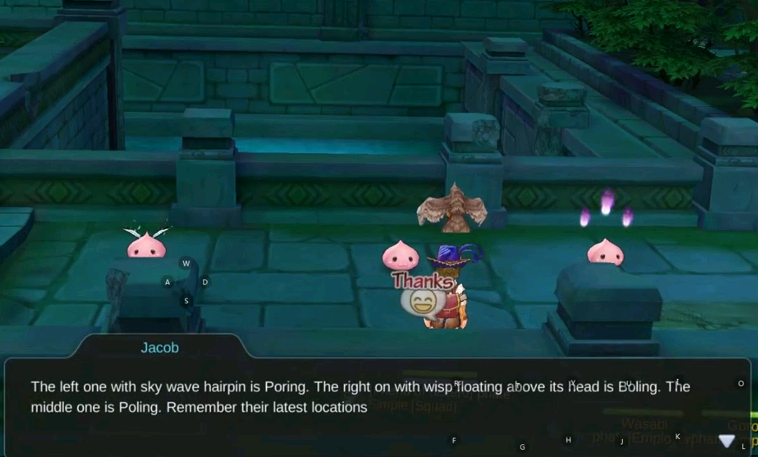 Which creature in front of you is Poring? Вопрос: Tell me. Which creature in front of you is Poling?